Unfortunately, the internet propagates wildly inaccurate views on medical care. Fortunately, healthcare professionals can use digital marketing tools and techniques to fight against medical misinformation. Never in human history has it been easier to find and share health information online — but as many doctors know, that’s not necessarily a good thing. Online self-diagnosis can result in anxiety, confusion, or even hysteria at times, causing many physicians to wonder whether the availability of online health information results in more harm than good. For example, the widely-held misconception that vaccinations cause autism resulted in California’s highest number of whooping cough cases since the 1940s in 2010. More recently, the American Society of Clinical Oncology found that almost 40% of Americans believe that cancer could be cured solely through alternative therapies, including oxygen therapy, certain diets, and vitamins — even though a 2017 study found that cancer patients who used only alternative medicine were 2.5 times more likely to die within a 5-year period than those who used standard treatments. 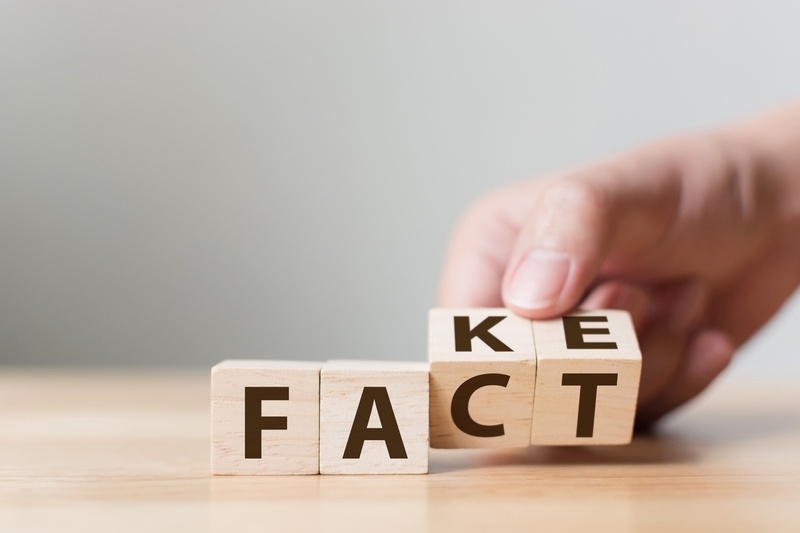 Fortunately, healthcare providers can use the same digital tools as purveyors of naturopathy and homeopathy to push back against the proliferation of medical “fake news.” These misinformation-mongers take advantage of patients’ desire to find health information online; legitimate medical experts can do the same to fight back. When it comes to fighting medical misinformation, the facts alone aren’t enough. People tend to stick to long-held beliefs and behaviors, even if they’re proven to be wrong. In the 1970s, the epidemiologist Leonard Syme performed several large-scale studies intended to spread information about smoking risk, but after five years, he wasn’t even able to make a dent in the smoking rate. Further, many social media users intentionally avoid sources of information that challenge their views. For this reason, even physicians and healthcare providers with robust and informative social media presences may struggle to reach skeptics. Facts and statistics are necessary to debunk misinformation, but they aren’t sufficiently compelling on their own. A strong social media presence can go a long way to build trust with doubting consumers, but targeted marketing efforts can help you reach patients who may not yet be convinced. Paid search ads, social ads, and partnerships with social media influencers can all help healthcare providers to cut through the noise and reach patients directly. The latter can be especially effective; 92% of people say they trust recommendations from people over brands, so traditional medicine skeptics are more likely to connect with a message from an influencer than from a healthcare provider. In a similar vein, healthcare providers should focus on reaching and educating patients who are unlikely to seek accurate information on their own. Bolster your brand publishing program and SEO efforts by writing articles debunking common medical myths that are likely to be discovered by those seeking to further explore or even confirm those same myths. In blog posts and ad copy, include compelling statistics and links to additional context. Fighting medical misinformation is an uphill battle, but it’s a necessary one. With a strong content strategy and the right digital marketing tools, healthcare providers can push back against the dissemination of harmful and concerning medical myths. The internet isn’t going anywhere, but medical marketers can use it for good.